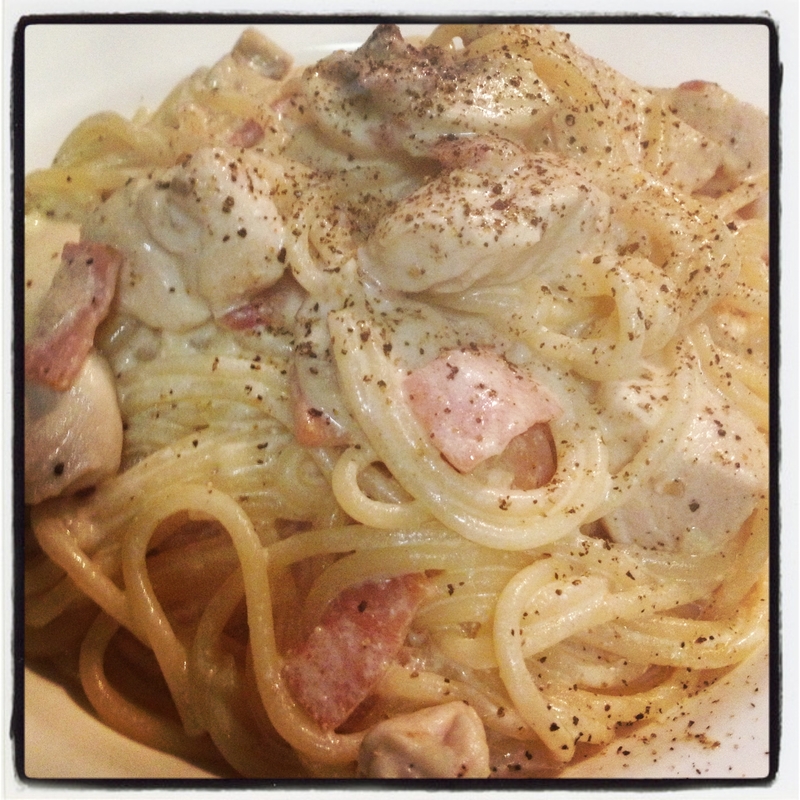 Well, I call this a Carbonara very liberally as I have never cooked or looked at a Carbonara recipe before. It was pretty delicious though and very simple for a mid week dinner option! Bring pan of water to the boil, salt it and add in spaghetti and boil away. Heat oil in pan and add in onion. Once translucent add in garlic. Next in is the bacon. I like mine to go brown and crispy but it’s up to you. Add in the Chicken and mushrooms and follow with the sour cream – leave to simmer for about 10 minutes. Drain pasta and add into the cream mixture.